AKIPRESS.COM - Economies in Central Asia continued improving their business climate, to create jobs and spur growth, according to the 15th anniversary edition of the World Bank Group’s annual Doing Business 2018: Reforming to Create Jobs Report, released on October 31st, 2017, the World Bank said in a statement. Kazakhstan, the Kyrgyz Republic, Tajikistan and Uzbekistan implemented a total of 11 reforms across ten business regulatory areas during the past year, with Uzbekistan featured among the global top 10 improvers in Doing Business 2018. According to the report, Uzbekistan carried out five reforms – the most among Central Asian countries, Kazakhstan implemented three reforms, Tajikistan – two reforms and the Kyrgyz Republic – one such reform in the past year. The reforms were carried out mainly in the areas of starting a business, registering property and protecting small investors, with two reforms in each area. For example, Uzbekistan strengthened investor protections by increasing corporate transparency requirements, while Kazakhstan made enforcing contracts easier by introducing additional time standards for key court events that are respected in the majority of cases. Tajikistan made starting a business easier by raising the revenue threshold for mandatory value added tax registration and eliminated a procedure to make registering property easier. The report was launched on November 1st in Tashkent, Uzbekistan, with live video-conference connection with five Central Asian capitals. The results of the Report were discussed widely with the representatives from the government, civil society, media and business communities. More specifically, Kazakhstan, with a global ranking of 36 on the ease of doing business, implemented reforms in three out of ten areas measured by the Doing Business report: registering property, protecting small investors, enforcing contracts. The country made it easier to transfer a property by improving transparency and the land administration system’s dispute resolution mechanisms. Kazakhstan also strengthened investor protections by increasing shareholder rights and role in major corporate decisions, clarifying ownership and control structures, requiring greater corporate transparency and allowing greater access to corporate information during trial. The economy also introduced additional time standards for key court events, making it easier to enforce a contract. 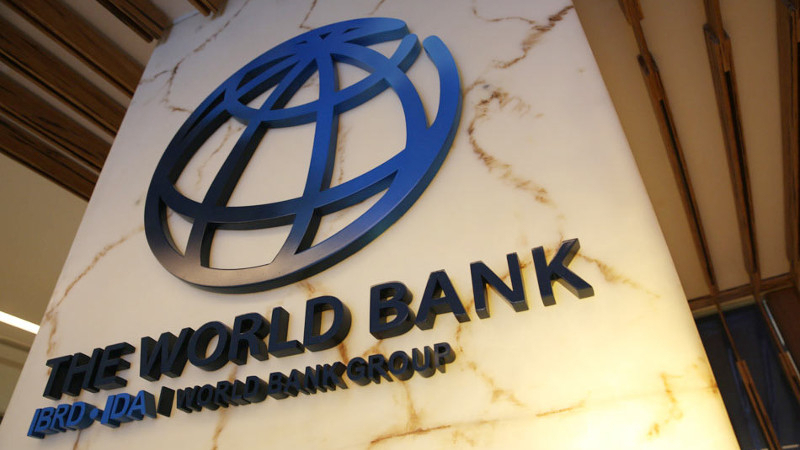 The Kyrgyz Republic, ranked 77th, was credited one positive reform in the getting credit area. The country has adopted two new decrees that establish a unified and modern collateral registry and a new law on exchanging credit information. Tajikistan, with a global ranking of 123, implemented reforms in two areas: starting a business and registering property. The country has raised the revenue threshold for mandatory value added tax registration, making it easier to register a new business. Tajikistan also made it easier and less costly to register property by eliminating the need to register the sale-purchase agreement at the municipal office. Uzbekistan, ranked 74th, undertook five business reforms in the past year, earning the country a spot in the top 10 global improvers. The reforms were adopted in the areas of starting a business, dealing with construction permits, protecting small investors, paying taxes and getting electricity. Uzbekistan made paying taxes easier and less costly by introducing an electronic system for filing and paying taxes and unified social payments, including personal pension fund and cumulative pension contributions. While the Central Asian countries have actively tackled the areas covered by Doing Business in recent years, there is still a room for improvement in the areas of Getting Electricity, Paying taxes and Trading across Borders. For example, it takes an entrepreneur 106 days, and 639 percent of income per capita to get connected to the electric grid in Central Asia, compared to 79 days and 63 percent of income per capita in OECD high-income economies. Similarly, paying taxes in Central Asia takes 202 hours on average compared to the OECD high-income average of 161 hours. Finally, the time and cost to export and import from and to the region are also higher compared to the OECD and global averages. The Doing Business project, launched in 2002, measures regulations affecting domestic firms in 190 countries. By gathering and analyzing comprehensive quantitative data to compare business regulation environments across economies and over time, Doing Business encourages economies to compete towards more efficient regulation; offers measurable benchmarks for reform; and serves as a resource for academics, journalists, private sector researchers and others interested in the business climate of each economy. Doing Business 2018: Reforming to Create Jobs is the 15th in a series of annual reports.